When he saw swallows nesting in the barn for the first time in almost two decades, Slovenian farmer Uros Macerl felt vindicated. His exhausting battle against a polluting industrial giant had been worthwhile. 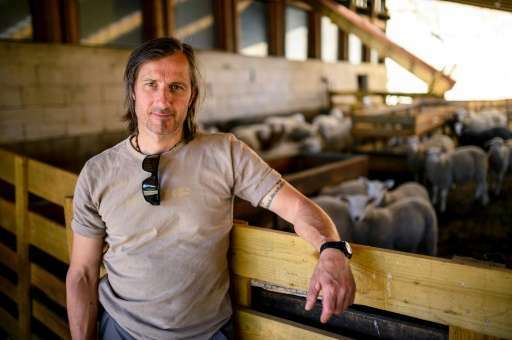 A role model to some, an "eco-terrorist" to others, Macerl recently picked up one of the world's most prestigious environmental awards for shutting down a cement plant owned by French corporation Lafarge in his home region of Trbovlje region in 2015. The 48-year-old flew to New York in late April to receive the US Goldman Prize, which honours "environmental heroes" for their efforts to protect nature, often at great personal expense. In Macerl's case, the 13-year fight cost him his marriage. "I've paid a high toll with my family... but it also taught my children the struggle was worth it," the father of three told AFP. 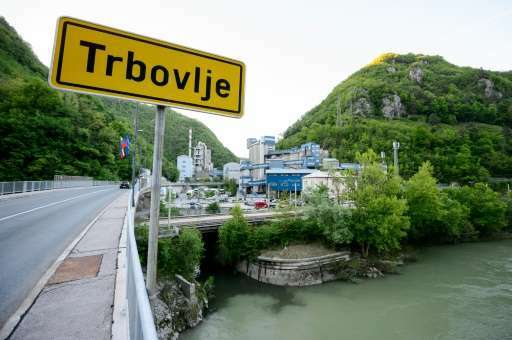 For as long as Macerl could remember, heavy industry had not only been providing jobs to Trbovlje's 16,000 or so inhabitants, but also polluting its air. Emissions from a glass factory and coal-fired power plant would slowly rise from the Central Sava valley, enveloping the farms on the surrounding hills in a toxic fog. In winter, "the snow was always black" because dust and ashes would turn the white blanket into dark slush within 24 hours, Macerl recalled. Things got worse in 2002 when Lafarge took over a 130-year old cement factory. The company intensified exploitation using petroleum coke—a dirty byproduct of oil refining that burns extremely hot—and industrial waste instead of coal. "They boosted production to make as much profit as possible," said Macerl. "Cement was like gold back then." Lafarge's actions had a devastating effect on the environment and people's health. Within a year, the level of benzene in the air jumped by more than 250 percent. Cancer rates in the region were above the national average, 2012 data from the Organisation for Economic Co-operation and Development showed. The high concentration of acid and other toxic substances also began to destroy the vegetation. When Macerl took over his parents farm at the age of 23, he decided to raise sheep because the fruit trees died. But the "sheep often had miscarriages," he said. A meeting with Lafarge representatives failed to produce results. "I described the unbearable situation on top of the hills but they just made fun of me. 'If you don't like it sue us,' they told me," Macerl said. Frustrated, he and other locals took matters into their own hands, gathering data on toxic emissions to show the dramatic rise in dangerous air pollutants. Their research revealed that the Lafarge factory was exceeding permitted emission levels. But the local authorities ignored the findings, according to Macerl. "They turned a blind eye because Lafarge provided jobs, sponsored local sports clubs, donated to hospitals and heavily invested in infrastructure," he said. The tide turned in 2009 when Lafarge applied for a new licence to incinerate car tyres and plastic. Looking at the plans, Macerl realised that a tiny part of his farmland fell inside the so-called "pollution zone", entitling him to challenge the company's permit. When the government failed to act upon Macerl's repeated complaints, he took his fight all the way to the top and filed a petition with the European Commission in 2010. After a five-year legal battle, Lafarge was eventually forced to mothball its operations in March 2015 after Brussels ruled that Slovenia had run foul of EU rules regarding the plant's permits. Macerl says there are now signs that nature is recovering, a process also helped by the coal-fired power station's closure in 2016. "I'd never seen swallows here... but since (Lafarge's) production was halted, they've started coming. We have some 16 or 17 nests in our barn," Macerl said with a proud smile. Lafarge insists its plant had operated under the "most stringent" regulation and fully respected EU legislation. 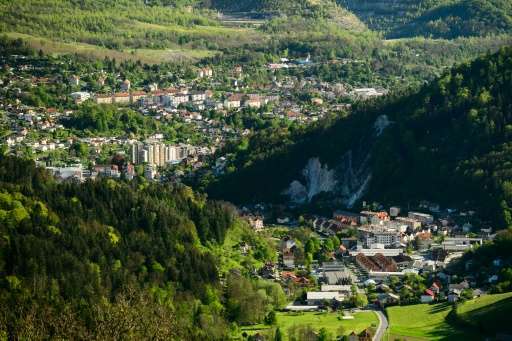 In a statement to AFP, the company said the EU's decision had gone against the "expert decisions" made by Slovenia's environmental agency and government. Slovenian Economy Minister Zdravko Pocivalsek accused Macerl and his fellow campaigners of being "eco-terrorists" in a 2016 interview. Some locals have also deplored Lafarge's closure. "Health-wise (the closure of Lafarge) was right, but damage was done, people have no work," an elderly pensioner, who identified himself as Edi, told AFP. But Marcerl has no regrets. "We're at a crossroads: either we continue promoting Slovenia with false promises in which case tourists will sooner or later find out we're bluffing... or we start protecting what we have."